The Atlas contains detailed information on the history, urban development, material and spiritual culture of this medieval city. There are special sections of the book dedicated to the history of studying and conservation of its rich and diverse cultural and natural heritage. Analytical Review on the History and Culture of Bolgar. This publication provides an overview of different sources on the history of the Volga Bulgarian city of Bolgar. It also presents city’s stratigraphy and topography, defensive constructions, numismatic and anthropological data. Analytical Reviews of Bolgar Crafts. This publication is representing the results of the continuous archaeological studies of the Bolgar archaeological site. Metallurgy and Metal-Working Crafts. The book continues exploring the Medieval crafts of Bolgar focusing on ferrous and non-ferrous metallurgy and metal-working. Monumental building and architecture. The work is devoted to the studies of the architectural heritage of Bolgar, one of the biggest medieval cities of Eastern Europe. Culture, art and trading. The publication continues to present the results of archeological studies of the Bolgar archeological site. 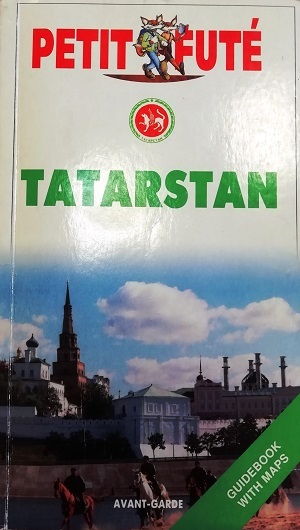 It consists of 5 analytical reviews devoted to the ethnogenesis of Tatar people, analysis of Bolgar import and export, its urban culture, urban planning as well as to Medieval arts and crafts of Bolgar. Additional information. Selected abstracts from research papers on the Bolgar Historical and Archaeological Complex.